Our media room is equipped to meet all your electronic needs. 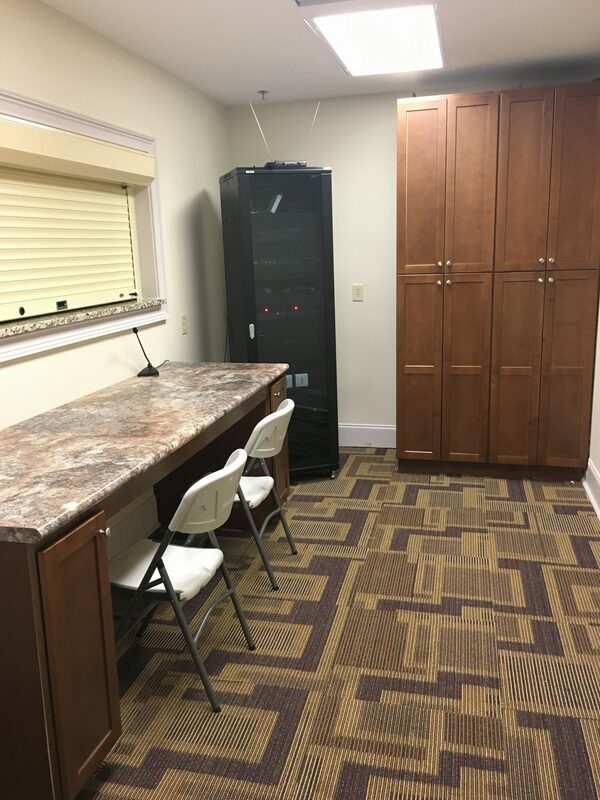 Here our guests have access to, microphones, DVD/Blu-ray players, Laptop hook-ups, and even Cable television. The room even opens up to the banquet hall making it a wonderful DJ booth for any event.